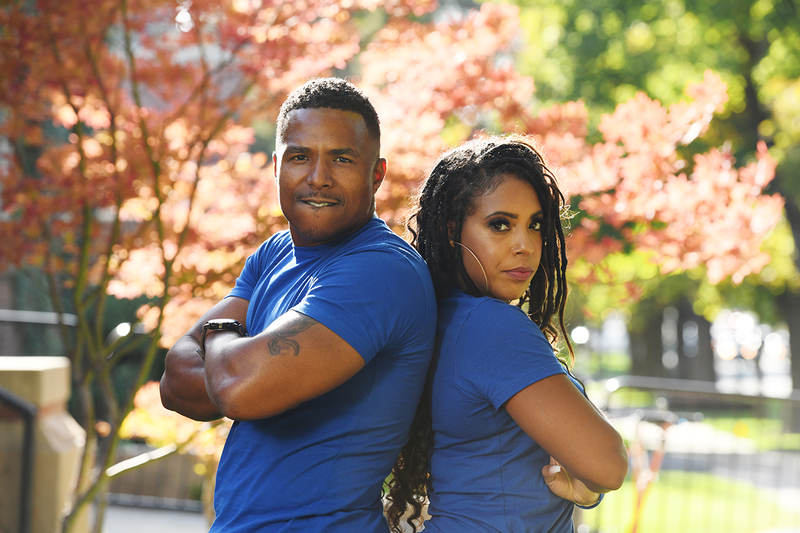 Season 5: Meet Team Blue! 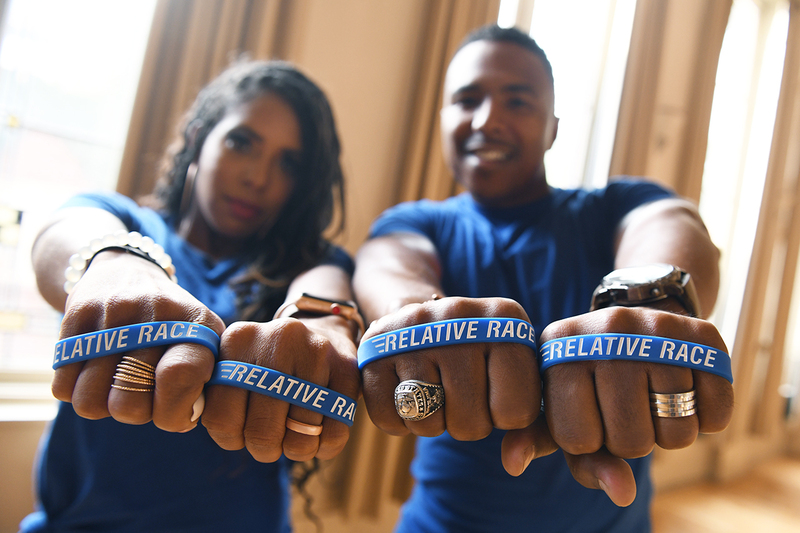 Today, we're excited to introduce you to Demetrius and Chonta Flowers from Season 5 of Relative Race! Demetrius: Hi, I'm Demetrius Flowers. Chonta: I'm Chonta Flowers. We're from Atlanta, Georgia. Demetrius: And we are Team Blue. Chonta: We're married. You didn't tell them that. Demetrius: We have an amazing eight-year-old named Chancellor, we call him Chance. We live Right outside of Atlanta. And we've been married what? Chonta: Ten years. A decade. We just celebrated ten years. Demetrius: It feels like 100 years. BYUtv: What is your game strategy? Demetrius: Definitely rely on her opinion on things, but I plan on making all of the decisions. Chonta: Uh, no. He's a gorilla and I'm a flamingo, so we're going to use his aggressiveness, we're going to use my personality, so let me talk and then you do. BYUtv: Who are you hoping to meet? Demetrius: I don't know my biological father, so I'm hoping to have the opportunity to, introduce myself to him, and him to me and try to start some type of relationship. BYUtv: What is your biggest strength? Demetrius: We're super competitive. Like, we even raced to get our degrees. You know, it's things like that, we push one another, so I think that's our biggest strength. BYUtv: What is your biggest weakness? Demetrius: I'm really gonna work on making sure that I listen to her before trying to take over, because I do have a gorilla personality. Chonta: I think that strength is also the weakness like a blessing and a curse. Chonta: Because sometimes the competitiveness is just so competitive and then we get to, ‘why didn't you do that?’ ‘Why didn't you do it right?’ You know, so it leads to bickering a little bit. BYUtv: What city would you love to visit on the race? Chonta: Austin, Texas would be great. My favorite place ever is like Southern California. That'd be great. Demetrius: California would be good. BYUtv: What is your road trip snack of choice? Demetrius: Sunflower seeds. It keeps you up. BYUtv: What is one thing you can’t live without? Chonta: That was super deep. Demetrius: Because that's deep to me, he is everything to me. Because I grew up not knowing my biological father. When my wife told me she was pregnant, I prayed, cried and prayed, a lot of people didn't know that. I talked to God a lot. Like listen, I've done it the right way, I haven't made excuses, and I don't ask for much but Lord, please give me a son. I really want to have a son to carry on my name and one that I can pour into and I was blessed to have that. When she told me she was pregnant, I immediately started buying boy clothes, did I not? Demetrius: And I don't cry often, when the nurse told us that we were having a boy, I think I fell out on the floor. Chonta: I didn't know he was going to go so super deep. I totally agree with that, but me, yeah, it would be my coffee or my phone. I was going there. But yes, definitely, I can't live without my kid. Chonta: No, I said you win. Demetrius: Daddy loves you buddy. Chonta: I love you too, I didn't know. I didn't know. Season 5 of Relative Race COMING SOON! As we near the premiere of Season 5, be sure to follow Relative Race on Instagram, Facebook, and Twitter for a premiere date announcement and much more! And psst! 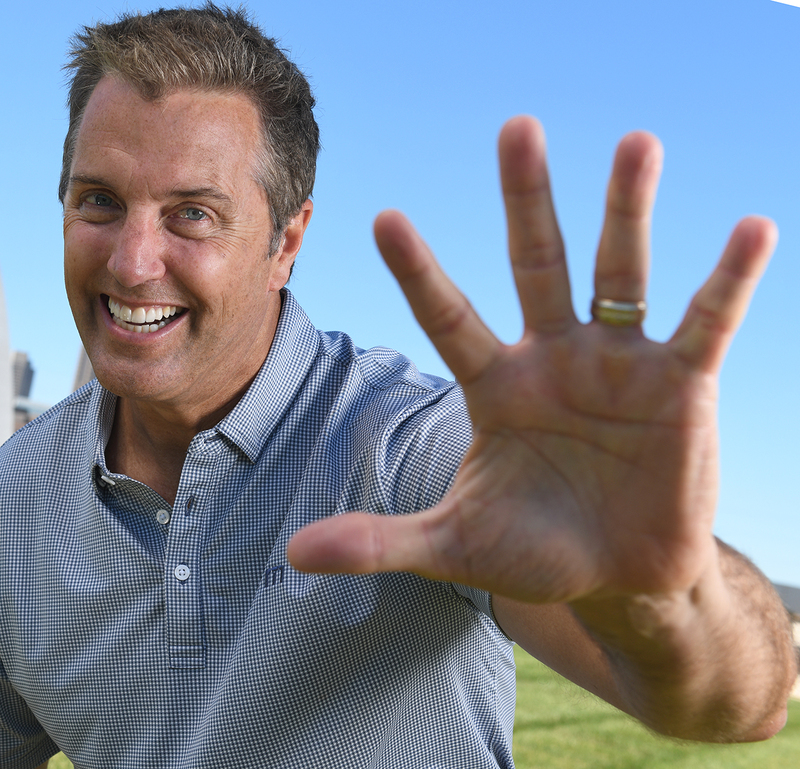 If you loved this "getting to know you" interview, come back next week to meet Team Green!